Small Savings and Post Office Schemes comes under the category of National Savings Schemes (NSSs). These schemes are regulated by the ministry of finance under Government of India. These small savings schemes offer a secured investment platform for the rural populace of India, owing to the very simple reason that it is mainly distributed through Post offices of rural areas. 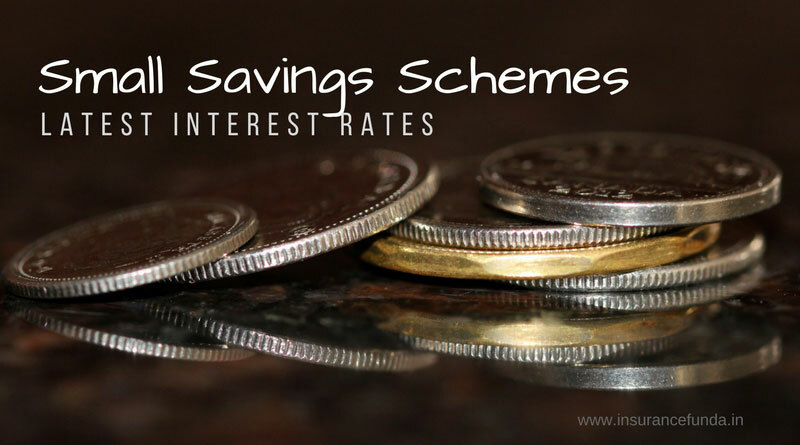 Small Savings Scheme Interest rates – How it is regulated. As per the new norms introduced on April 2016, the interest rates of Small Savings Schemes are linked to the yield of government bonds of comparable maturity. The interest rates of government Bonds (G-Sec) and the Small Savings interest rates are linked using a specialised term called Spread. In order to understand spread let us take an example. Sukanya Samriddhi Scheme is having a spread of 75 basis points over and above the Government Bond rate. So 75 basis points means 0.75% over and above the interest rate of Government Bonds. Government Of India has decided to review the interest rates of Small Savings schemes on quarterly basis, with effect from 1 st April 2016. So the interest rates are getting revised on every quarter starting from March. The latest revision was done on 30 th June 2017 and the rates applicable are as follows. Service Tax rate changes in Insurance policies with GST introduction – every thing you should know.